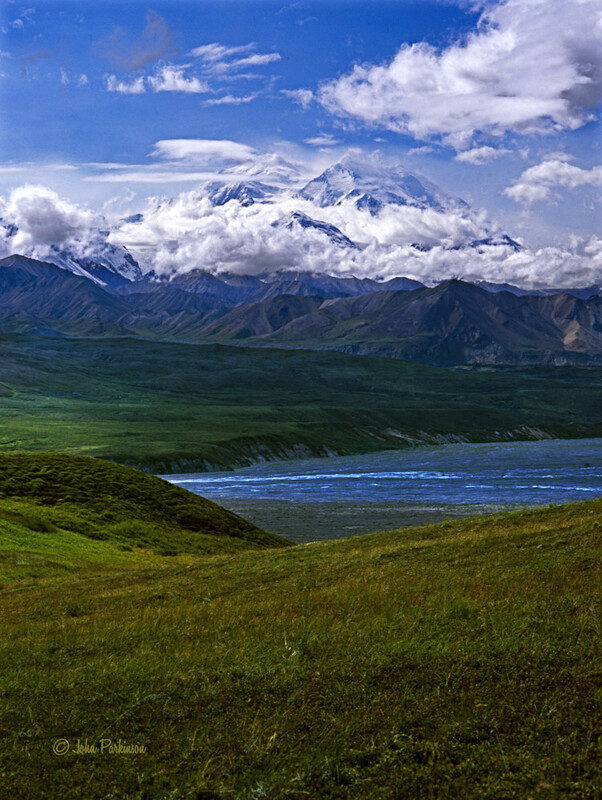 Denali, formerly known as Mount McKinley, is the highest mountain peak in North America. Its summit is at an elevation of 20,310 feet above seal level. Interestingly, however, It is also the tallest land-based mountain on Earth with a vertical rise of about 18,000 feet. It is difficult to actually see the summit of Denali because it is so high that it creates its own weather system and is under a blanket of clouds most of the time. This view of the beautiful mountain with most of its clouds pealed back was made from outside Denali National Park along the George Parks Highway that traverses the outstanding landscape of Alaska for 361 miles between Anchorage and Fairbanks.